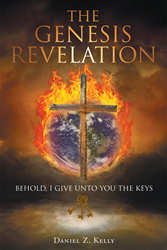 “The Genesis Revelation: Behold, I Give unto You the Keys” from Christian Faith Publishing author Daniel Z. Kelly is an enlightening book that clearly explains God’s wonderful works and his everlasting love for mankind since the beginning, as written in the Bible. “The Genesis Revelation: Behold, I Give unto You the Keys”: a riveting work that discusses who God is and our identity in him and motivates everyone to study the Bible and hold on to his Word. “The Genesis Revelation: Behold, I Give unto You the Keys” is the creation of published author, Daniel Z. Kelly, a member and a ministry servant of the Church of God Ground of the Truth in Jamaica. Published by Christian Faith Publishing, Daniel Z. Kelly’s new book encourages readers to accept the Lord as their personal Savior and to seek understanding of God’s Word so that they will be able to further appreciate God and live life in ways that please him. The author also gives the Bible-based keys to unlock God’s mysteries and avoid lack of knowledge, a condition that makes people stuck in spiritual captivity. View a synopsis of “The Genesis Revelation: Behold, I Give unto You the Keys” on YouTube. Consumers can purchase “The Genesis Revelation: Behold, I Give unto You the Keys” at traditional brick & mortar bookstores, or online at Amazon.com, Apple iTunes store, Kobo or Barnes and Noble. For additional information or inquiries about “The Genesis Revelation: Behold, I Give unto You the Keys”, contact the Christian Faith Publishing media department at 866-554-0919.